We’re thankful for the recognition we’ve received for our hard work. Here’s just a bit about what folks are saying about RXBAR. This bar is upfront; the label lists every single ingredient in big, bold letters. You’ll never have to guess what you’re noshing on. Staying awake at work and energized through your after-hours workout? Win! "The ingredients are listed right there on the front of the packaging, so you know what you're eating." 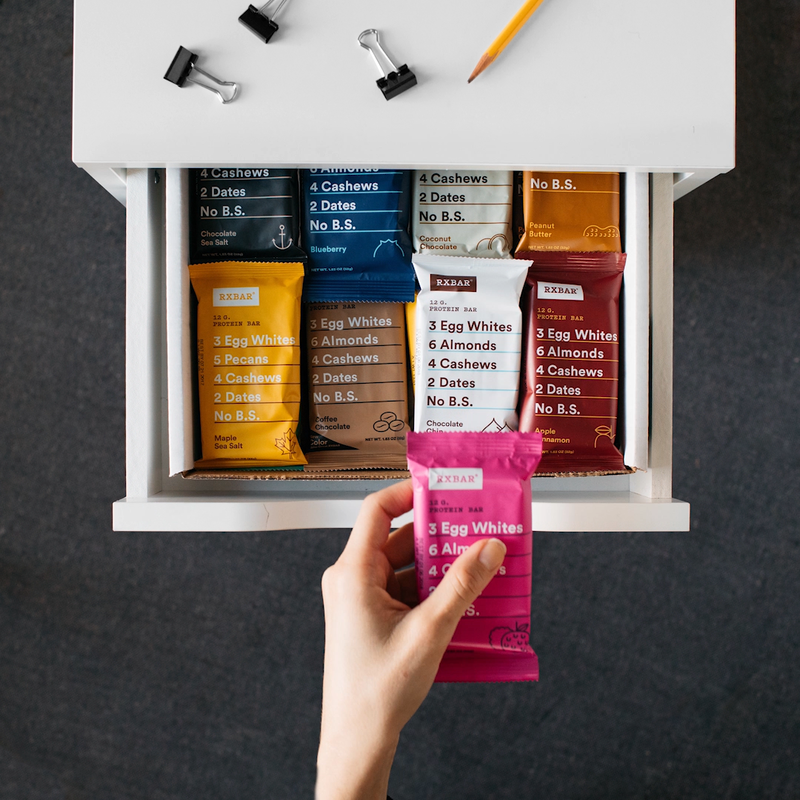 "[We like] RXBARs because they have a lot of protein and no added sugar." "Who says you can’t have a touch of decadence in a simple package? This chocolate sea salt protein bar is the perfect after-workout snack since it packs 12 grams of protein thanks to three egg whites." "You can't deny the value of a bar that lists just six or eight ingredients. When you've worked hard, you can feel the impact of every ingredient you put into your body, and there's something so reassuring about chowing down a bar that contains zero added sugar or mysterious ingredients you can't pronounce." "Our clear winner, once all criteria were taken into account, was RXBAR (in several different flavors)." "While the whole mbg office is obsessed with RXBARs generally, the Chocolate Coconut is the clear favorite of the chocolate-loving among us. It truly tastes like a chocolate bar—except instead of tons of sugar and dairy, it has a protein-rich egg white and nut base and simple, easy-to-read ingredients." "With 12 g of protein and 6 g of fiber, this bar will help fend off annoying hunger pains so you can power through an afternoon meeting or mile-long To-Do list." “Not all bars are created equal, as most are loaded with artificial ingredients and excess carbs...RXBARs have a short list of simple ingredients."